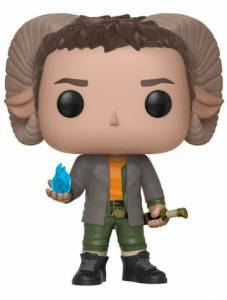 Funko Pop Saga offers characters from the acclaimed fantasy space opera in a more collector-friendly size. 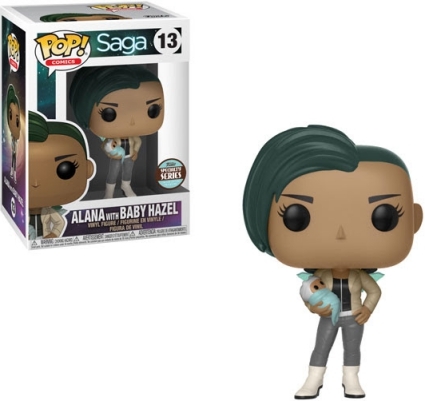 The Saga comic book series figures include Alana and Marko as they fight to protect their unlikely extraterrestrial family. 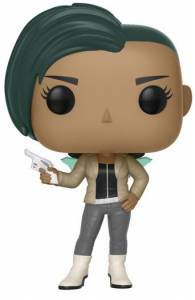 Featuring short, green hair, Alana is posed holding a gun with her wings barely visible behind her shoulders. 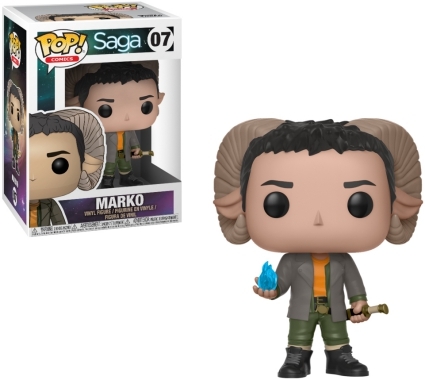 Meanwhile, the vinyl for her horned husband, Marko, displays the alien's magic powers as he cusps a blue flame in his palm. 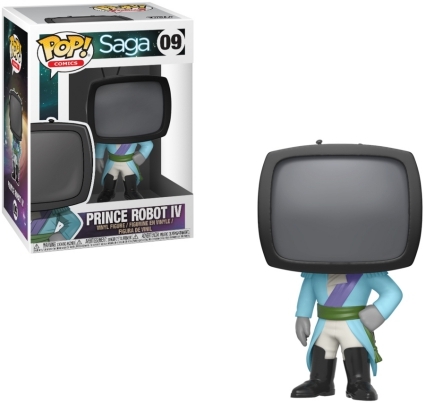 Tasked with capturing the couple, Prince Robot IV—who has a TV for a head—wears a light blue tailcoat and a green belt. 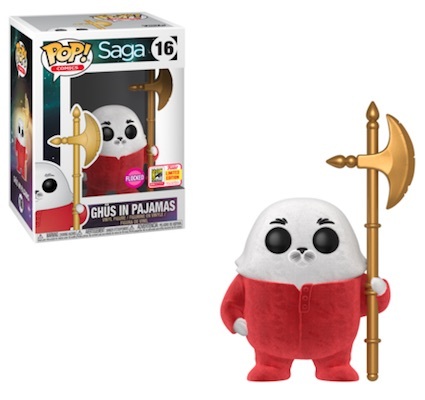 Order Pop Saga Figures at Entertainment Earth. 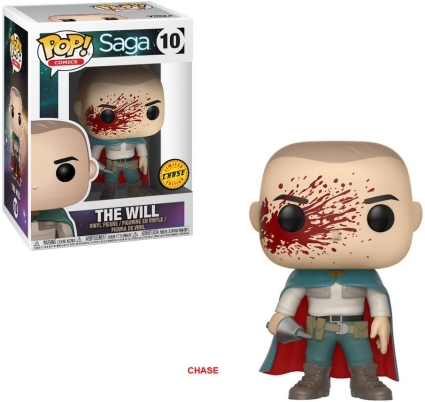 Aside from the primary option for The Will, there is a bloody chase variant that averages 1:6 boxes. 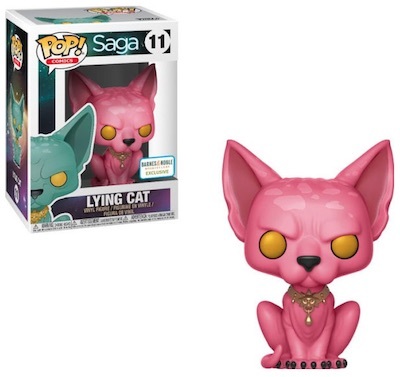 Additionally, Funko Pop Saga exclusives include Lying Cat with blood, issued as part of the PX Previews program, and the pink Lying Cat version can be found at Barnes and Noble locations. 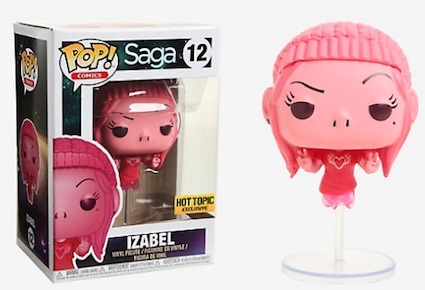 Of course, Izabel (a ghost) is shown with a clear stand for the lower half of her body. 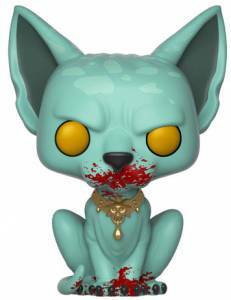 The Horror babysitter is exclusive to Hot Topic. Released under the new Pop! 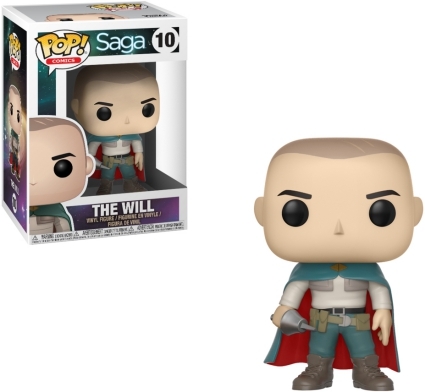 Comics offshoot, it is expected that Funko Pop Saga will continue the numbering established by the Comics line that debuted with Funko Pop Hellboy. 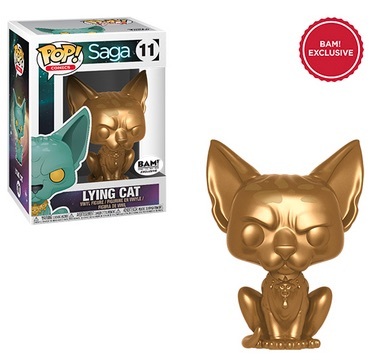 11 Lying Cat Gold - BAM! 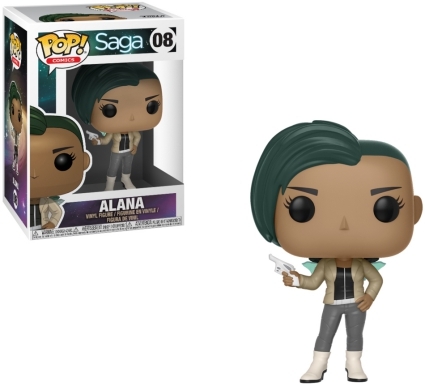 Unboxed images are not final. Click on images or listings to shop for figures on Amazon or eBay. 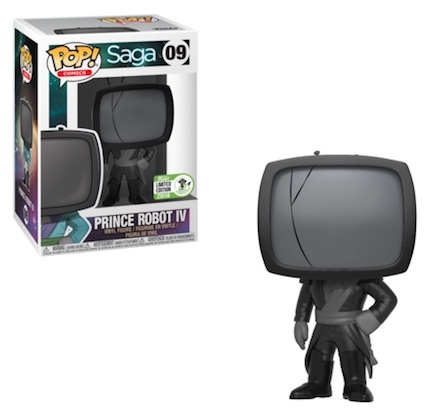 FUNKO POP SAGA PRINCE ROBOT IV FACTORY ERROR VARIANT FREE SHIPPING!